Despite rumors that ginger-haired Prince Harry and girlfriend Chelsy Davy have called it quits, a source close to the couple says they are still "committed to each other." Britain's News of the World reported that Davy broke up with the Prince and plans to return to her family in Zambia to pursue a legal career. A source told Us Weekly that the couple has "not split up -- News of the World jumped the gun. 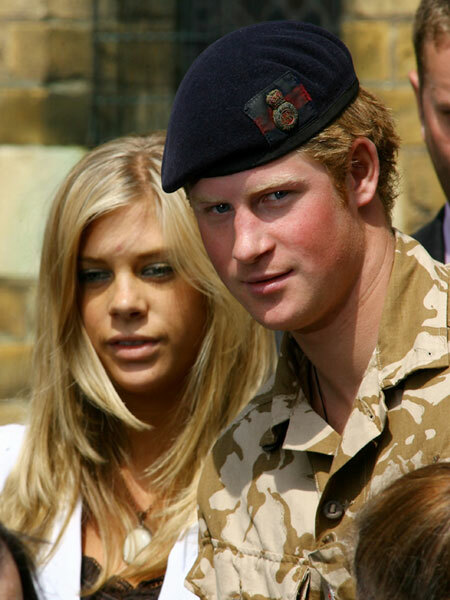 Harry knew for some while that Chelsy will be moving back to Zambia. There is no getting around that right now. What the newspaper failed to point out is that Harry's [Apache Attack Helicopter] conversion course begins next month, that continues for eight months, and there is a further eight months at the RAF Wattisham base [in Suffolk, England]. They would not have been together much even if she was staying in the UK." The Prince, third in line to the British throne, and Davy are reportedly still trying to make it work, even though they'll be spending a lot of time apart. The couple split once before in 2007, but got back together a year later.